I’m already planning the trip back to Denmark for research. And for visiting my husband’s family and having great food and drinks and hygge, but also, research. Definitely research. I’ll want to find ways to use Copenhagen as more than just backdrop and scene setting. I’ll want to infuse Nick’s entire story with a sense of that unique place. And all this has me thinking about another story my husband and I binge-watched, the American TV series The Killing set in Seattle*, which is an adaptation of a Danish TV series (Forbrydelsen, which roughly translates to ‘Crime’).Having been to Denmark a few times (my husband is a Dane who moved to the US at the age of nine and we’ve gone to DK several times to visit family) as well as to Seattle (we have relatives there, as well), it’s been fun for us to compare real-world Seattle with the fictional one in the series, and to see how similar the fictional one is to Denmark. The first thing that struck us about the setting of The Killing was that the nearly non-stop rain and frequent deluges in the American series seem more typical of a Danish winter than a Seattle fall. We Americans tend to think of the Pacific Northwest as one of the rainiest places on our shores, but, according to our sources, gray mist punctuated by occasional soaking rains are much more common than downpours. Still, if you were a location scout charged with finding someplace in the continental US that is gray, gloomy and gritty enough to match the mood of the show’s events, Seattle’s working class neighborhoods with some extra rain would be a good choice. Another thing that struck us was that both the homicide detectives who are the main characters of The Killing are smokers. These days, you rarely see a main character on American TV who smokes. On the X Files in the ‘90s, there was a notorious smoker, a shadowy informant who was a secondary character. The character was actually known as ‘the smoking man’, not to be confused with any other smokers on the show because there were none. In Denmark, smoking rates are higher and while trends are slowly changing, smoking – even publicly – is not openly shunned the way it is in the US. In The Killing, detectives Linden and Holder are rare exceptions to the non-smoking trope. There are other little details that are nods to the series’ Danish roots. The family of the murdered girl is Larsen, which is a very Danish name (even though the father, Stan Larsen, has ties to the Russian mob). In the story, Larsen’s moving company is on Ballard Avenue. In real-world Seattle, Larsen’s Bakery (which makes Kringle – the best pastry EVER) is located in the Ballard neighborhood of the city. The assistant DA speaks with a Danish accent because she is played by Danish actress Sofie Grabol. Grabol also played the lead detective in the Danish series. As a writer, I find it interesting to consider all the creative choices that give a book or movie or TV series its ‘feel’. In the case of The Killing, it’s an American murder mystery with some decidedly Scandinavian undertones. What have you read or watched recently that used setting and details to underscore the mood of the story? *The series The Killing was actually filmed in Vancouver, whose weather is perhaps more ‘Danish’ than Seattle’s. 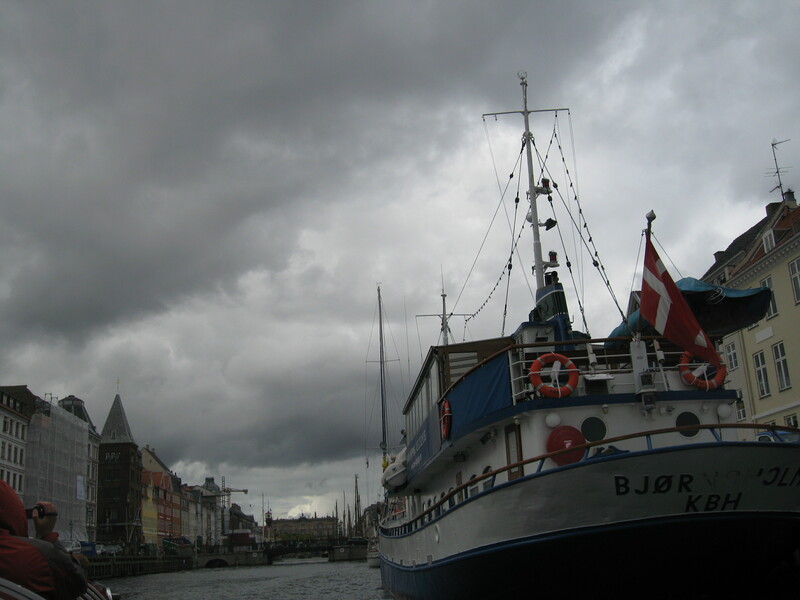 This entry was posted in Description, Discovery, Inspiration, Mood, Mystery, Research, Setting and tagged Copenhagen Blues, Lost Hearts in Copenhagen, Nancy Hunter, Nicky O mystery series, setting as character, short fiction, story atmosphere, The Killing. Bookmark the permalink. One of the dichotomies I enjoy between books and TV is about setting. In the land of TV, just about everything these days is shot in Toronto or Vancouver or Portland, because those cities can be made to look just about like anyplace else. But in books, setting can be so important, it’s like a character. The action can’t take place if it’s not in that location. All the gothic novels—Jane Eyre, Wuthering Heights—have a setting that functions as a character. In Jane Eyre, the attic is the climax, essentially. Phantom of the Opera is all about setting, also Rebecca, Shogun, The Great Gatsby, and many more. As a writer, if you want to draw readers to your world, often that world is the setting. So if the setting is important, as it sounds like it is in The Killing, then it’s important to get it right. I must have ESP. I was just thinking this morning how I need to make setting more important in my book (’cause right now, it’s pretty non-existent). This was a timely post and I completely agree with Kay that setting is like another character…it’s an integral part of the book and not something that should be left as an afterthought. Last week I read Ben Aaronovitch’s Rivers of London (Midnight Riot in the US) and I’ve been raving about it ever since (thank you, Michaeline, for the recommendation). The setting isn’t just London, much of it involves the bits of the city I know very well – North London, where I live, and Covent Garden, including the Royal Opera House, where I spend far too much time and money. Ben Aaronovitch brings the city to life, and he doesn’t strike a single wrong note. It was pure joy to read. Oh, Aaronovitch has been on my TBR pile for a while! I must get to it soon. I remember Michaeline discussing it on one of our McD boards and I got intrigued. I was only in London once and we got hopelessly lost (and sunburnt – go figure! ), so I will have to live vicariously through his descriptions :-). Setting, setting, setting. Maybe it’s one of those restrictions that make us more creative. A character romping around Seattle in December in a turquoise bikini would have some serious backstory. A good setting helps us establish more unsaid things. And it can make a marked state stand out. But most of all, I think it anchors a story. Characters don’t feel like they’ve floated out of someone’s brain, but that they are real people who come from someplace real. Even if they are completely fictional and come from nowhere real. My husband and I are fans of The Killing as well. I had no idea it was adapted from a Danish TV series. I can’t wait to let my husband know. We also noticed the wet and gritty mood of the setting, even joked about how it seemed to rain nonstop even for Seattle. Now knowing the series origins are Danish it makes sense! My husband and I are hoping to find the Danish version (with subtitles for me). Scandinavian crime series (and books) have a very specific feel, and I think the first two seasons of The Killing captured it. Seasons 3 and 4 – not so much. They had a very different feel – more Americanized, somehow. We are still on Season 2 but we look forward to seeing it all… Thank God for Netflix!